January marked the official opening of the C Building, new four-story, 80,000 square foot medical office building at Erlanger East Hospital. In additional to expanded physician services, including pulmonology and dermatology, the new building offers residents more convenient access to the Erlanger Center for Breast Health, as well as the new and expanded cancer services. 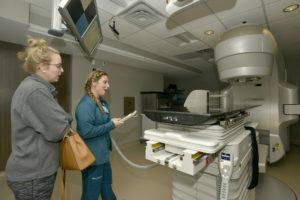 Part of the Erlanger Cancer Institute, Erlanger East Hospital now offers a comprehensive array of services under one roof including the $2.8 million state-of-the-art linear accelerator which provides care to patients requiring radiation therapy. The additional outpatient cancer services mark a huge shift in how cancer care is provided in this region. Patients needing treatment and services now have a second option for accessing world-class cancer treatment. 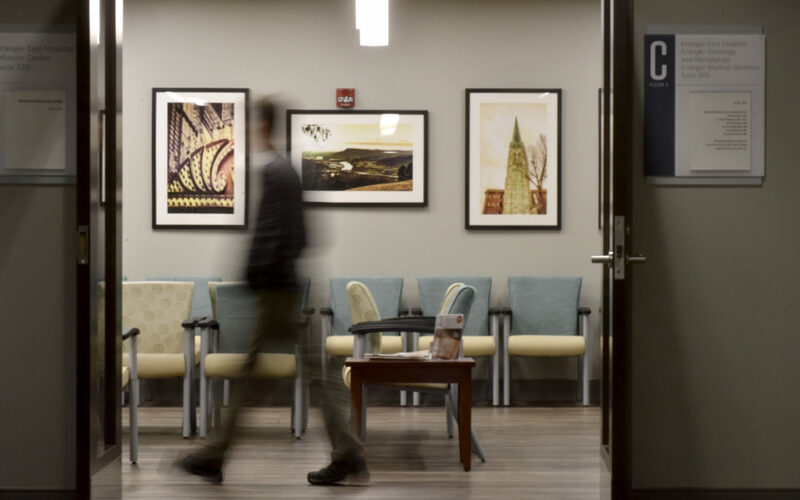 The new facility was designed with patient experience in mind. Flat, street-level parking, a covered drop off area along with complimentary valet parking helps patients and their families reduce commute time from parking to the office. Once inside, a friendly ambassador will guide visitors to their destination. Bright, colorful local art gives the building a relaxing and peaceful feel. Adding these services to East Brainerd is part of the health system’s plan for providing comprehensive medical services in a convenient and accessible location. Erlanger aims to raise the bar for advanced pulmonary, surgical, stroke, heart, emergency medicine — and now cancer care — in a full-service community hospital at Erlanger East. The C Building is located at 1635 Gunbarrel Road. For more information about services offered at the new building, visit erlanger.org/east.